547 Commercial Properties in Sa are listed in 9 categories. We have 236 Offices for Sale & Lease , 137 Retail Shops for Sale & Lease , 68 Industrial Warehouses for Sale & Lease , 42 Commercial Farms for Sale & Lease , 23 Development Lands for Sale & Lease and 15 Medical and Consulting Properties for Sale & Lease . 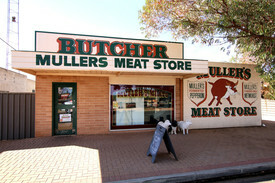 This well established Butcher shop situated on the main highway in Monash has been a fabulous business for the current owners for the past 14 years, but Mullers meat store has been proudly supporting local families by way of employment, and supplying both locals and visitors with a quality product any butcher would be proud of, for well over 50 years, with a name that's well known throughout this region and beyond. In the past Mullers has also been a wholesale supplier to local sporting clubs and pubs, yet another place you could build this business further. The multi award winning butcher and smallgoods maker has a great following for its fabulous mettwurst and its award winning sausages across states by word of mouth and without any real outside advertising, the opportunity to grow in the smallgoods market is huge. With the shop being fully equipped and fitted out, with everything from a large Cool room, display fridges, ban saw, smoke oven, sausage fillers walk in freezer, cookers even a refrigerated truck and much more, this shop is ready and waiting for you to move in and start building both an asset and a lifestyle for yourself from the moment you receive the keys. Weather it's for an investment or for self employment, this is an opportunity you can't afford to miss, on offer here is a great business, a full shop fitout, plus the freehold premise, giving you everything you need to move in and earn. Become your own boss and make your own rules. The current owner is willing to stay on short or long term to help with the business transition. Great Onsite Facilities | Natural Light | Fully Furnished $2301pw | 27 Person Works..
PROPERTY OVERVIEW $2301pw Price incl. Newly renovated office for rent in a great Prospect location. 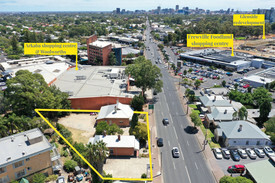 This commercial property offers abundant office, storage, warehouse and car parking space on a site of approx 701sqm. The internal accommodation is divided into 8 private offices from 7 13sqm, a coworking space with 7 workstations, two boardrooms and a 47sqm training room (could alternatively be used as another coworking space with up to 12 desks) as well as kitchen and bathroom amenities. Recent refurbishments have transformed these offices into contemporary and stylish spaces with character features, perfect for any business wanting to work comfortably and productively while benefiting from the image benefits of your very own sublease office in Adelaide’s Northern Suburbs. The entire office space is furnished with new desks and chairs and it's equipped with secure high speed internet and printing facilities, giving everything a business needs to move in and get back to work straight away. The advertised rate covers rent of the entire property, internet, electricity and cleaning, and you’ll enjoy 24/7 access so your team can work to every deadline. With the ability to seat up to 27 employees but with great flexibility, fabulous amenities, abundant storage and a price that could appeal to smaller businesses, this Prospect office space won’t be around for long! Book a tour today to take a look round and see how it could work for your business. This commercial building holds a prominent and spacious site on the busy Churchill Road. With a unique character exterior, car parking and a great position on the main road, it’s easy for your clients to find every time. The single level building is approximately 360sqm on a site of 701sqm made up of the office and meeting spaces, storage, warehouse space and parking. There are also shower facilities so your team can cycle to work or exercise on lunch with no worries. This Prospect location is super convenient with Islington railway station just 8 minutes’ walk away, Churchill Centre a stroll away and a large retail park with Bunnings, Savers, Petbarn, Hungry Jack’s and more just opposite. The nearby bus stop (ID 12246) is serviced by a number of different bus routes and Adelaide CBD is 8.3km away. The advertised office space is perfect for a team of 27. If you need more or less space, we have over 30,000 furnished workspaces all over the world suitable for a team of 1 to 200+. Our award winning team offer a free service that will help you find the perfect solution for your needs, so reach out if you need more help. What you get for your weekly rent , 8 private offices, 7 open workstations, and massive training room , 24/7 Access , Access to internal breakout areas , Access to kitchen facilities , Access to secure printer and scanner , Electricity usage included , Flexible lease with the ability to grow into bigger space , FREE use of the meeting rooms , Lockable storage unit , Private lockable office , Regular cleaning , Secure high speed Internet Building features , Abundance of natural light , Air conditioning , Car parking Street (Free) , Gym and fitness centre close by , New fit out , Open plan layout , Print, scan and copy facilities , Private offices and dedicated desks available , Shared office space , Taxi / Uber stand close to building 9km from Adelaide CBD 550m to Islington Railway Station 800m to Churchill Centre's shops and cafes 8.3km to Adelaide CBD Who is Office Hub? Office Hub is the world\'s No.1 marketplace for office space. We have a huge global selection of coworking spaces, serviced offices and shared office spaces with flexible options to suit teams from 1 200 people. We\'ll take you on a tour of all the workspaces that fit your needs and work on your behalf to get the best price possible. We\'ll help you discover how shared office space can be the most beneficial and budget friendly solution for your business. www.office hub.com Conditions apply – the advertised price includes any incentives offered based on a 12 month agreement and is available to new tenants only. Please note that the rental rate may increase for a shorter rental period. A portion of the square meterage factors in access to shared space. $2301pw | 27 Person Works..
Free Parking | Great Location | Fully Furnished $242pw | 2 Person Workspa..
PROPERTY OVERVIEW $242pw Price incl. Independently owned managed space, conveniently positioned in the inner west Adelaide suburb of Brooklyn Park. Price includes Internet, Electricity, Cleaning and Building Outgoings Flexible terms Natural light Reception services Air conditioning High Speed Internet Free Parking Boutique Serviced Office Situated on historic Sir Donald Bradman drive, this family owned business is well positioned with easy access to the CBD, Adelaide Airport and West Beach. Brightly lit with a lovely reception area, this space is air conditioned with great end of trip facilities. Perfect for SME's and larger businesses alike. The advertised office space is perfect for a team of 2. If you need more or less space, we have over 30,000 furnished workspaces all over the world suitable for a team of 1 to 200+. Our award winning team offer a free service that will help you find the perfect solution for your needs, so reach out if you need more help. What you get for your weekly rent Furnished private offices with desk and chairs Electricity usage included Internet usage Access to shared kitchen facilities Regular cleaning of common areas 24 x 7 access to your office CCT security Office and building features Free on site car parking Air conditioning Catering services available Dedicated mens and womens bathrooms Reception services Photocopying facilities Showers in the building 3 minute drive to IKEA 2mins to Adelaide Airport 10 minutes to Henley Beach 5kms from Adelaide CBD WHO IS OFFICE HUB? Office Hub is Australia & New Zealand\'s No 1 small office space commercial real estate agency. We have the largest collection of shared spaces, coworking and serviced offices in Australia & New Zealand, perfect for 1 100 employees. Let us take you on a tour of all the spaces that fit your needs and budget. Our service is complimentary and we work for you and the landlord to negotiate the most competitive deal in the market. Let us show you how shared and serviced offices can be the perfect solution for your business. www.office hub.com.au www.office hub.co.nz Conditions apply A portion of the square meterage factors in access to shared space. Price includes any incentives offered. This is for new tenants only. $480pw | 10 Person Worksp..
PROPERTY OVERVIEW $480pw Price incl. Large furnished office space for rent on popular Greenhill Road in Wayville less than 1km from Adelaide CBD. There are two private office spaces available in this contemporary building, each fitted with 10 workstations and set up with fibre optic internet connection. Rent one open plan office for your SME or take both and fit a 20 person SA contingent – the beautiful light filled offices boast a professional environment fit for any corporation, multinational or regional team. Get assistance with tasks from the reception team and bring clients in for meetings in the impressive glass walled meeting rooms. With stunning ceiling high windows, chic furniture and leafy views, this is an uplifting and impressive workspace ideally located just beyond the parklands on the fringe of Adelaide CBD. All inclusive pricing covers rent, utilities, cleaning and ample car parking, making this a hassle free and cost effective office rental available on either short or long term basis. Book a tour today to take a look at this Wayville office space and explore the options on a rental term that suits your needs. This contemporary building is a local landmark positioned on the visible corner of Greenhill and Goodwood Roads in Wayville. It overlooks the parklands and boasts a timeless aesthetic with its clean lines and tall tinted windows. The 1400 sqm building has dual frontage on the two main roads and boats a large car park with ample availability for new tenants. It is owned and occupied by a prominent consulting firm to provide you with a strong tenant profile, easy points of contact and an established professional community, an enviable setup for any organisation. This Wayville office space grants easy access to Adelaide CBD and Adelaide Airport while giving employees close access to the Parklands and Wayville’s chilled out cafe culture. The advertised office space is perfect for a team of 10. If you need more or less space, we have over 30,000 furnished workspaces all over the world suitable for a team of 1 to 200+. Our award winning team offer a free service that will help you find the perfect solution for your needs, so reach out if you need more help. What you get for your weekly rent , 24/7 Access , 24/7 Security , Access to kitchen facilities , A fully furnished office suite , A prestigious address to put on your business cards , Collaborative space with a great community feel , Commercial grade internet , Flexible lease terms from 1 month , Flexible lease with the ability to grow into bigger space , Flexible terms , Fully equipped boardrooms, meeting rooms and day offices (fees may apply) , Private lockable office , Regular cleaning , Secure high speed Internet , Unfurnished office space with shared facilities Building features , Boutique low rise buidling , Car parking in building (Paid) , Car parking Street (Free) , Company Branding at reception , Company branding in foyer , Company Branding in Foyer Reception , Conference facilities available , Dedicated men and ladies bathrooms , Direct access to buses , Direct access to public transport , Disabled access and facilities , End of trip facilities e.g showers, bike racks , Floor to ceiling glass throughout building , Impressive reception with panoramic views , Private offices and dedicated desks available , Professional working environment , Quick access to major airports , Unfurnished office space Overlooking Adelaide parklands 650m to Adelaide Showground Train Station 1.9km to Adelaide Central Market 6.3km to Adelaide Airport Who is Office Hub? Office Hub is the world\'s No.1 marketplace for office space. We have a huge global selection of coworking spaces, serviced offices and shared office spaces with flexible options to suit teams from 1 200 people. We\'ll take you on a tour of all the workspaces that fit your needs and work on your behalf to get the best price possible. We\'ll help you discover how shared office space can be the most beneficial and budget friendly solution for your business. www.office hub.com Conditions apply – the advertised price includes any incentives offered based on a 12 month agreement and is available to new tenants only. Please note that the rental rate may increase for a shorter rental period. A portion of the square meterage factors in access to shared space. Great Location | Free Parking | Natural Light $504pw | 3 Person Workspa..
PROPERTY OVERVIEW $504pw Price incl. Independently owned managed space, conveniently positioned in the inner west Adelaide suburb of Brooklyn Park. Price includes Internet, Electricity, Cleaning and Building Outgoings Flexible terms Natural light Reception services Air conditioning High Speed Internet Free Parking Boutique Serviced Office Situated on historic Sir Donald Bradman drive, this family owned business is well positioned with easy access to the CBD, Adelaide Airport and West Beach. Brightly lit with a lovely reception area, this space is air conditioned with great end of trip facilities. Perfect for SME's and larger businesses alike. The advertised office space is perfect for a team of 3. If you need more or less space, we have over 30,000 furnished workspaces all over the world suitable for a team of 1 to 200+. Our award winning team offer a free service that will help you find the perfect solution for your needs, so reach out if you need more help. What you get for your weekly rent Furnished private offices with desk and chairs Electricity usage included Internet usage Access to shared kitchen facilities Regular cleaning of common areas 24 x 7 access to your office CCT security Office and building features Free on site car parking Air conditioning Catering services available Dedicated mens and womens bathrooms Reception services Photocopying facilities Showers in the building 3 minute drive to IKEA 2mins to Adelaide Airport 10 minutes to Henley Beach 5kms from Adelaide CBD WHO IS OFFICE HUB? Office Hub is Australia & New Zealand\'s No 1 small office space commercial real estate agency. We have the largest collection of shared spaces, coworking and serviced offices in Australia & New Zealand, perfect for 1 100 employees. Let us take you on a tour of all the spaces that fit your needs and budget. Our service is complimentary and we work for you and the landlord to negotiate the most competitive deal in the market. Let us show you how shared and serviced offices can be the perfect solution for your business. www.office hub.com.au www.office hub.co.nz Conditions apply A portion of the square meterage factors in access to shared space. Price includes any incentives offered. This is for new tenants only. Fabulous Views | Ideal Working Environment | Great Amenities $188pw | 3 Person Workspa..
PROPERTY OVERVIEW $188pw Price incl. Classy lakefront office space with water views opposite Westfield West Lakes. Private, spacious and furnished with unobstructed lake views, this lockable office suite is ideal for consultants and small businesses that need a peaceful place to work and hold meetings. It comes complete with fast internet and shared use of an 8 seater boardroom, kitchen facilities and a waiting/reception area with a box of toys to entertain any little ones that might accompany Mum and Dad to meetings. This leads through to a designated admin/printing area and a small huddle zone for 1 2 1 meetings, all neatly styled with leather chairs, wooden furniture and a chesterfield couch in the waiting area. Watch the sunset as you finish up your last meeting for the day, wander down to a great waterfront restaurant or cross the road to the cinema – this private office space in West Lakes is excellently positioned for work, relaxation and entertainment. Short and long term rent available now on flexi terms. This flexible workspace is part of a small complex of offices nestled between the lake and Westfield Shopping Centre. It seems worlds away from the hustle and bustle of the mall with the villa style complex offering abundant free 2 hour car parking, air conditioning and incredible lake frontage. Enjoy unobstructed water views from this first level workspace plus easy proximity to a huge range of amenities at Westfield West Lakes including Reading Cinemas, supermarkets, retail chains and eateries. The West Lakes office space promises a more inspiring working day next to the lake and easy travel between the office, Adelaide CBD, Adelaide Airport and home. The advertised office space is perfect for a team of 3. If you need more or less space, we have over 30,000 furnished workspaces all over the world suitable for a team of 1 to 200+. Our award winning team offer a free service that will help you find the perfect solution for your needs, so reach out if you need more help. What you get for your weekly rent , 24/7 Access , Access to internal breakout areas , Access to kitchen facilities , Access to secure printer and scanner , A fully furnished office suite , Building outgoings included , Electricity usage included , Plug and play furnished workspace , Private lockable office , Regular cleaning , Secure high speed Internet Building features Building features , Free onsite parking for 2 hours. , Air conditioning , Boutique low rise buidling , Car parking in building (Free) , Professional working environment , Retail and shopping malls nearby , Shared office space Directly opposite Westfield West Lakes 350m to Woolworths and Coles 2km to West Lakes Golf Club 14km to Adeleide CBD 11.2 km to Adelaide Airport Who is Office Hub? Office Hub is the world\'s No.1 marketplace for office space. We have a huge global selection of coworking spaces, serviced offices and shared office spaces with flexible options to suit teams from 1 200 people. We\'ll take you on a tour of all the workspaces that fit your needs and work on your behalf to get the best price possible. We\'ll help you discover how shared office space can be the most beneficial and budget friendly solution for your business. www.office hub.com Conditions apply – the advertised price includes any incentives offered based on a 12 month agreement and is available to new tenants only. Please note that the rental rate may increase for a shorter rental period. A portion of the square meterage factors in access to shared space. Free Parking | Great Location | Natural Light $713pw | 4 Person Workspa..
PROPERTY OVERVIEW $713pw Price incl. Independently owned managed space, conveniently positioned in the inner west Adelaide suburb of Brooklyn Park. Price includes Internet, Electricity, Cleaning and Building Outgoings Flexible terms Natural light Reception services Air conditioning High Speed Internet Free Parking Boutique Serviced Office Situated on historic Sir Donald Bradman drive, this family owned business is well positioned with easy access to the CBD, Adelaide Airport and West Beach. Brightly lit with a lovely reception area, this space is air conditioned with great end of trip facilities. Perfect for SME's and larger businesses alike. The advertised office space is perfect for a team of 4. If you need more or less space, we have over 30,000 furnished workspaces all over the world suitable for a team of 1 to 200+. Our award winning team offer a free service that will help you find the perfect solution for your needs, so reach out if you need more help. What you get for your weekly rent Furnished private offices with desk and chairs Electricity usage included Internet usage Access to shared kitchen facilities Regular cleaning of common areas 24 x 7 access to your office CCT security Office and building features Free on site car parking Air conditioning Catering services available Dedicated mens and womens bathrooms Reception services Photocopying facilities Showers in the building 3 minute drive to IKEA 2mins to Adelaide Airport 10 minutes to Henley Beach 5kms from Adelaide CBD WHO IS OFFICE HUB? Office Hub is Australia & New Zealand\'s No 1 small office space commercial real estate agency. We have the largest collection of shared spaces, coworking and serviced offices in Australia & New Zealand, perfect for 1 100 employees. Let us take you on a tour of all the spaces that fit your needs and budget. Our service is complimentary and we work for you and the landlord to negotiate the most competitive deal in the market. Let us show you how shared and serviced offices can be the perfect solution for your business. www.office hub.com.au www.office hub.co.nz Conditions apply A portion of the square meterage factors in access to shared space. Price includes any incentives offered. This is for new tenants only. $169pw | 2 Person Workspa..
PROPERTY OVERVIEW $169pw Price incl. This funky light filled office space within Somerton Park includes a modern reception area, shared bathroom and kitchen facilities and contemporary styling with polished concrete in communal areas. Internal digital signage and shared boardrooms create an upbeat and positive environment which might suit young businesses, start ups or entrepreneurs looking to share office space with likeminded people. Situated in the popular industrial precinct at Somerton Park in Adelaide’s south, this modern warehouse of 395sqm is fitted with seven large offices all benefitting from free cable and wifi, shared meeting rooms and a great community feel in a collaborative space. There is air conditioning, regular cleaning and free street parking with the space positioned in an excellent location close to transport, roads, shopping, Adelaide airport and Somerton beach. The advertised office space is perfect for a team of 2. If you need more or less space, we have over 30,000 furnished workspaces all over the world suitable for a team of 1 to 200+. Our award winning team offer a free service that will help you find the perfect solution for your needs, so reach out if you need more help. What you get for your weekly rent , 24/7 Access , Access to kitchen facilities , Building outgoings included , Electricity usage included , Regular cleaning , FREE use of the Meeting Rooms , Flexible lease with the ability to grow into bigger space , Commercial grade internet (Free) , Collaborative space with a great community feel , Unfurnished office space with shared facilities. Can be furnished for a fee Building features , Air conditioning , Dedicated men and ladies bathrooms , Natural light , Unfurnished office space , Car parking Street (Free) , Retail and shopping malls nearby , Direct access to buses 1.3km from Somerton Beach 2.5km from historic Glenelg and it's iconic shopping precinct Two doors down (90m) from the famous Beck's Bakery 465m to Stop 29 Brighton Road bus interchange servicing the following routes: 262, 262F, 263, 670, AO31, N262 WHO IS OFFICE HUB? Office Hub has largest collection of shared office space, sublet office space, creative coworking office space and serviced offices, perfect for 1 200 employees. Let us take you on a tour of all the spaces that fit your needs and budget. Our service is complimentary and we work for you and the landlord to negotiate the most competitive deal in the market. Let us show you how shared and serviced offices can be the perfect solution for your business. www.office hub.com.au www.office hub.co.nz Conditions apply A portion of the square meterage factors in access to shared space. The advertised price includes any incentives offered based on a 12 month agreement. If a shorter period is agreed to please note the price may increase accordingly. This promotional offer for new tenants only and may be withdrawn at any time due to space availability. Abundance Of Natural Light | Fabulous Views | Ideal Working Environment $165pw | 2 Person Workspa..
PROPERTY OVERVIEW $165pw Price incl. Classy lakefront office space with water views opposite Westfield West Lakes. Private, spacious and furnished with unobstructed lake views, this lockable office suite is ideal for consultants and small businesses that need a peaceful place to work and hold meetings. It comes complete with fast internet and shared use of an 8 seater boardroom, kitchen facilities and a waiting/reception area with a box of toys to entertain any little ones that might accompany Mum and Dad to meetings. This leads through to a designated admin/printing area and a small huddle zone for 1 2 1 meetings, all neatly styled with leather chairs, wooden furniture and a chesterfield couch in the waiting area. Watch the sunset as you finish up your last meeting for the day, wander down to a great waterfront restaurant or cross the road to the cinema – this private office space in West Lakes is excellently positioned for work, relaxation and entertainment. Short and long term rent available now on flexi terms. This flexible workspace is part of a small complex of offices nestled between the lake and Westfield Shopping Centre. It seems worlds away from the hustle and bustle of the mall with the villa style complex offering abundant free 2 hour car parking, air conditioning and incredible lake frontage. Enjoy unobstructed water views from this first level workspace plus easy proximity to a huge range of amenities at Westfield West Lakes including Reading Cinemas, supermarkets, retail chains and eateries. The West Lakes office space promises a more inspiring working day next to the lake and easy travel between the office, Adelaide CBD, Adelaide Airport and home. The advertised office space is perfect for a team of 2. If you need more or less space, we have over 30,000 furnished workspaces all over the world suitable for a team of 1 to 200+. Our award winning team offer a free service that will help you find the perfect solution for your needs, so reach out if you need more help. What you get for your weekly rent , 24/7 Access , Access to internal breakout areas , Access to kitchen facilities , Access to secure printer and scanner , A fully furnished office suite , Building outgoings included , Electricity usage included , Plug and play furnished workspace , Private lockable office , Regular cleaning , Secure high speed Internet Building features Building features , Free onsite parking for 2 hours. , Air conditioning , Boutique low rise buidling , Car parking in building (Free) , Professional working environment , Retail and shopping malls nearby , Shared office space Directly opposite Westfield West Lakes 350m to Woolworths and Coles 2km to West Lakes Golf Club 14km to Adeleide CBD 11.2 km to Adelaide Airport Who is Office Hub? Office Hub is the world\'s No.1 marketplace for office space. We have a huge global selection of coworking spaces, serviced offices and shared office spaces with flexible options to suit teams from 1 200 people. We\'ll take you on a tour of all the workspaces that fit your needs and work on your behalf to get the best price possible. We\'ll help you discover how shared office space can be the most beneficial and budget friendly solution for your business. www.office hub.com Conditions apply – the advertised price includes any incentives offered based on a 12 month agreement and is available to new tenants only. Please note that the rental rate may increase for a shorter rental period. A portion of the square meterage factors in access to shared space. Abundance Of Natural Light | A Grade Building | Bike Racks & Showers $342pw | 4 Person Workspa..
PROPERTY OVERVIEW $342pw Price incl. Premium Serviced office in Iconic Adelaide CBD location. Price incl. Rent, Electricity & Outgoings Flexi terms "A" grade landmark building Prestigious address Regular Cleaning 24/7 access Modern fit out Adelaide's best location Avail NOW for long or short term rent Welcome to Adelaide's most iconic CBD office building and the city's most premium business address. Westpac House Adelaide is the tallest building in South Australia at 132metres; offering stunning, uninterrupted views of Adelaide Hills, the city's cathedrals and Adelaide Oval. It is easy to get to and from with public transport within walking distance. Also close to shops, restaurants, banks and post office! The advertised office space is perfect for a team of 4. If you need more or less space, we have over 30,000 furnished workspaces all over the world suitable for a team of 1 to 200+. Our award winning team offer a free service that will help you find the perfect solution for your needs, so reach out if you need more help. What you get for your weekly rent Furnished office with desks, chairs and lock up storage units Commercial grade internet service Telephone line and personalised phone answering Use of kitchen facilities with premium coffee/tea service Electricity usage included Complimentary receptionist to meet and greet your clients Prestigious business address Flexible terms from 1 month to long term Ability to bring your existing phone number over Business lounge with complimentary break out areas 24 x 7 Access to your office 24 x 7 security Office features Immaculate fit out and facilities Full mail management and postage Large boardroom and meeting rooms Signage board in foyer to highlight your business name Professional environment Server / Comms rooms available for server storage Building features Modern high rise classified as an "A" grade building 24 x 7 access to your office High speed lifts Car parking in building and surrounding areas Dedicated on site management team The advertised price includes building outgoings and is based on one person occupying the workspace. If you have 2 or more people extra fees will apply to cover off services like telephone, internet and kitchen amenities. 50m to supermarkets, shops, popular bars, restaurants, gyms, major banks, post office, in fact its close to everything you need! 90m to closest bus stop 170m to Pirie St Tram Stop WHO IS OFFICE HUB? Office Hub is Australia & New Zealand\'s No 1 small office space commercial real estate agency. We have the largest collection of shared spaces, coworking and serviced offices in Australia & New Zealand, perfect for 1 100 employees. Let us take you on a tour of all the spaces that fit your needs and budget. Our service is complimentary and we work for you and the landlord to negotiate the most competitive deal in the market. Let us show you how shared and serviced offices can be the perfect solution for your business. www.office hub.com.au www.office hub.co.nz Conditions apply A portion of the square meterage factors in access to shared space. Price includes any incentives offered. This is for new tenants only. Enjoyable Working Environment | Convenient Location | Enjoyable Working Environment $329pw | 4 Person Workspa..
PROPERTY OVERVIEW $329pw Price incl. Boutique serviced office with private suites in lovely Wayville location just minutes from Adelaide CBD. Price incl. Electricity, Building outgoings & Access to shared Kitchen facilities Flexible terms Brand New Centre Regular cleaning 24/7 access Dedicated receptionist Perfect inner south location Avail NOW for short or long term rent. Conveniently located along the Greenhill Road business precinct, just minutes from the Adelaide CBD, this brand new centre provides flexible office solutions to suit any requirement. With superb views looking over the southern parklands and next to all important amenities, these modern and vibrant offices give a professional look and feel whilst enhancing your corporate image. The advertised office space is perfect for a team of 4. If you need more or less space, we have over 30,000 furnished workspaces all over the world suitable for a team of 1 to 200+. Our award winning team offer a free service that will help you find the perfect solution for your needs, so reach out if you need more help. What you get for your weekly rent Private & furnished office incl. desks, chair & filing cabinet Optional Commercial grade internet service Optional Telephone with dedicated number Personal telephone answering in your company name Mailing address collection and posting Complimentary receptionist to meet and greet your clients Complimentary electricity usage Use of boardroom and meeting rooms Unlimited use of the kitchen facilities with tea & coffee Recognised business address to put on your cards Flexible terms from 1 month 2 years Ability to bring your existing phone number over Regular cleaning of your office 24 x 7 access Office and Building features Unlimited internet available Full mail management and postage Large boardroom and separate meeting rooms Signage board in foyer to highlight your business name Quality finishes and amenities throughout Professional environment Car parking available in building and surrounding areas 50m to Edwards park 100m to Greenhill road bus station 400m to Adelaide Showground Railway Station Easy access to the city and suburbs Close to the cosmopolitan cafe's of King William and Unley roads WHO IS OFFICE HUB? Office Hub is Australia & New Zealand\'s No 1 small office space commercial real estate agency. We have the largest collection of shared spaces, coworking and serviced offices in Australia & New Zealand, perfect for 1 100 employees. Let us take you on a tour of all the spaces that fit your needs and budget. Our service is complimentary and we work for you and the landlord to negotiate the most competitive deal in the market. Let us show you how shared and serviced offices can be the perfect solution for your business. www.office hub.com.au www.office hub.co.nz Conditions apply A portion of the square meterage factors in access to shared space. Price includes any incentives offered. This is for new tenants only. Central Location | Transport Close By | Abundance Of Natural Light $529pw | 5 Person Workspa..
PROPERTY OVERVIEW $529pw Price incl. Award winning coworking space in Adelaide CBD providing a curated community, regular events for personal and professional growth, and access to coworking locations across Australia. Rent a coworking desk or serviced office, the choice is yours, and receive a one of a kind working experience in return! Designed to become the second home of forward thinking professionals, this workspace mingles relaxation and social zones with meeting rooms and office spaces so you can get fresh motivation and lightbulb ideas more often. Young businesses grow faster in supportive and collaborative environments, so tap into the wellness, social and professional events at this coworking space as you work on your passion. The advertised rate covers your high speed internet, utilities, office signage, a mailable address, hosted welcome desk and 12 hours of free meeting room usage per month, representing incredible value for a vast array of facilities and tools. This premier coworking centre was voted Adelaide’s Best Coworking Space of 2018 in the Qantas Business Travel Awards and it can cater for small, large and project teams alike. There is the option to customise an office if a plug and play one doesn’t suit you – lodge an enquiry with Office Hub to find out more or simply book a tour of this workspace at a time to suit you! This stunning coworking space is tucked away Peel Street on the doorstep of Adelaide CBD. Cafes, restaurants and independent shops spill into the cute pedestrian only Peel Street and foodies will love working on one of Adelaide’s best laneways for food and drinks. Hotspots like Peel St, Bread and Bone, Maybe Mae, Clever Little Tailor and La Moka are on your doorstep and you can explore alternative retail shops like the The Comics Shop and The Map Shop. This small but famous street is a fitting home for Adelaide’s movers and shakers, and you’ll enjoy the convenience of mainstream shopping, great restaurants and public transport links just around the corner in Adelaide CBD. The advertised office space is perfect for a team of 5. If you need more or less space, we have over 30,000 furnished workspaces all over the world suitable for a team of 1 to 200+. Our award winning team offer a free service that will help you find the perfect solution for your needs, so reach out if you need more help. What you get for your weekly rent , 24/7 Security , Access to internal breakout areas , Access to kitchen facilities , Access to secure printer and scanner , A prestigious address to put on your business cards , Building outgoings included , Electricity usage included , One simple bill for everything related to your workspace , Regular cleaning , Secure high speed Internet , Shower and changing room , Commercialisation programs to grow your business Building features , Abundance of natural light , Air conditioning , Car parking Street / Public Car Park (Paid) , Disabled access and facilities , End of trip facilities e.g showers, bike racks , Onsite Cafe / Restaurant , Taxi / Uber stand close to building 100m to King William Street bus and tram stops Surrounded by foodie delights on Leigh and Peel Streets 250m to Rundle Street Mall 290m to Adelaide Railway Station 600m to Light Square Who is Office Hub? Office Hub is the world\'s No.1 marketplace for office space. We have a huge global selection of coworking spaces, serviced offices and shared office spaces with flexible options to suit teams from 1 200 people. We\'ll take you on a tour of all the workspaces that fit your needs and work on your behalf to get the best price possible. We\'ll help you discover how shared office space can be the most beneficial and budget friendly solution for your business. www.office hub.com Conditions apply – the advertised price includes any incentives offered based on a 12 month agreement and is available to new tenants only. Please note that the rental rate may increase for a shorter rental period. A portion of the square meterage factors in access to shared space. Looking to increase the value of your assets? Or looking for your first investment. 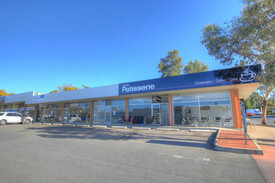 Here on display is a great example of prime real estate, located in the middle of the main street of Barmera on a huge corner allotment of 897m2, is this commercial premise offering both a huge amount of floor space and ample off street parking at the rear of the property, with plenty more on street. The shop front looks out directly across to the local hotel and is approximately 50 metres from the main shopping centre in town which maximises the ability to capture the attention of passing traffic both on foot and in the car. The building offers two separate areas, the largest one is currently being occupied and leased by the Barmera news agent which currently holds an ongoing long term lease with the right of renewal, and the second is being leased for a craft shop. The two shops both have use of a toilet facility, storage room and office. This has been an amazing investment for many years and retirement is the only reason for the sale. For further information don't hesitate to call. 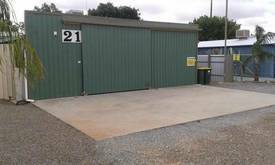 Shop 7 Vaughan Court Berri is a very neat shop ready to be set up as an office, small show room, clothing or retail. Currently being used as a dress shop including 2 change rooms, this shop has a Large glass fontage to display your trade. Situated right along side a Coffee House and Grocery Store. Shops has its own back entrance, small kitchen and bathroom. Lessee to pay portion of Council rates and ESL relative to the shop floor space along with own power. Rental cost on application. This great commercial property is ready for the new business to move in, Previously utilised as a gym but could suit a range of business ventures. Approximatley 610m2 of Undercover space including a showroom, offices, kitchen and male and feemale toilets and so much more. Parking available on two surrounding streets. Enquire now to inspect. Abundance Of Natural Light | Bike Racks & Showers | Central Location $196pw | 2 Person Workspa..
PROPERTY OVERVIEW $196pw Price incl. Collaborative coworking space next to Flinders University. Price incl. Rent, internet & Electricity Access to kitchen facilities Access to meeting and boardrooms Cool fitout Dedicated men and ladies bathrooms Flexible terms Furnished with desks and chairs Open plan layout Photocopying facilities Regular cleaning Showers Shared office space Great Clovelly Park location just south of Adelaide This suburban Adelaide co working centre is an amazing incubator for start ups and entrepreneurs looking for a buzzing atmosphere to run their business from. With a large open plan layout to facilitate collaboration and conversation, this cool shared space is perfect for businesses of any size. Part of the modern and innovative Tonsley precinct in Clovelly Park in Adelaide's southern suburbs. The advertised office space is perfect for a team of 2. If you need more or less space, we have over 30,000 furnished workspaces all over the world suitable for a team of 1 to 200+. Our award winning team offer a free service that will help you find the perfect solution for your needs, so reach out if you need more help. What you get for your weekly rent , 24/7 Access , 24/7 Security , Access to internal breakout areas , Access to kitchen facilities , Access to secure printer and scanner , Building outgoings included , Electricity usage included , Flexible terms , Lockable storage unit , One simple bill for everything related to your workspace , Plug and play furnished workspace , Regular cleaning , Secure high speed Internet Building features , Abundance of natural light , Air conditioning , Car parking Street / Public Car Park (Paid) , Disabled access and facilities , End of trip facilities e.g showers, bike racks , Onsite Cafe / Restaurant , Print, scan and copy facilities , Taxi / Uber stand close to building 20m to bus stops 500m to Clovelly Park Train Station 2 minute walk to Flinders University (Tonsley Campus) 20min drive to Adelaide CBD Close to shops, bars, restaurants & cafes in fact everything! Who is Office Hub? Office Hub is the world\'s No.1 marketplace for office space. We have a huge global selection of coworking spaces, serviced offices and shared office spaces with flexible options to suit teams from 1 200 people. We\'ll take you on a tour of all the workspaces that fit your needs and work on your behalf to get the best price possible. We\'ll help you discover how shared office space can be the most beneficial and budget friendly solution for your business. www.office hub.com Conditions apply – the advertised price includes any incentives offered based on a 12 month agreement and is available to new tenants only. Please note that the rental rate may increase for a shorter rental period. A portion of the square meterage factors in access to shared space. Fully Furnished | Cafes And Shops Nearby | Professional Space $177pw | 2 Person Workspa..
PROPERTY OVERVIEW $177pw Price incl. Internet, Electricity, Building Outgoings Flexi terms Private Offices Maylands 24/7 access Fully furnished Avail NOW for short or long term rent These fully furnished offices are ready for immediate occupation, providing a quick, easy and highly effective way to establish an office. Tenants will have access to reception services, telephone support, conference rooms and many other excellent ammenities. This is the ideal professional environment for your business to work from. The advertised office space is perfect for a team of 2. If you need more or less space, we have over 30,000 furnished workspaces all over the world suitable for a team of 1 to 200+. Our award winning team offer a free service that will help you find the perfect solution for your needs, so reach out if you need more help. What you get for your weekly rent Furnished private office with desks and chairs Commercial grade internet Outgoings included Flexible terms Access to shared kitchen facilities Access to shared meeting and boardrooms 24/7 Access Office and building features Air conditioning Photocopying facilities Reception area Dedicated mens and ladies bathroom facilities Car parking on site 30m to busses east and west Close to plenty of cafes, restaurants and shops WHO IS OFFICE HUB? Office Hub is Australia & New Zealands No 1 small office space commercial real estate agency. We have the largest collection of shared spaces, coworking and serviced offices in Australia & New Zealand, perfect for 1 200 employees. Let us take you on a tour of all the spaces that fit your needs and budget. Our service is complimentary and we work for you and the landlord to negotiate the most competitive deal in the market. Let us show you how shared and serviced offices can be the perfect solution for your business. www.office hub.com.au www.office hub.co.nz Conditions apply A portion of the square meterage factors in access to shared space. Price includes any incentives offered. This is for new tenants only. Working Mine Business And Property - Major Tourism Attraction PLEASE CONTACT AGENT FOR .. Fully Furnished | Reception Services | Great Amenities $269pw | 3 Person Workspa..
PROPERTY OVERVIEW $269pw Price incl. Internet, Electricity, Building Outgoings Flexi terms Private Offices Maylands 24/7 access Fully furnished Avail NOW for short or long term rent These fully furnished offices are ready for immediate occupation, providing a quick, easy and highly effective way to establish an office. Tenants will have access to reception services, telephone support, conference rooms and many other excellent ammenities. This is the ideal professional environment for your business to work from. The advertised office space is perfect for a team of 3. If you need more or less space, we have over 30,000 furnished workspaces all over the world suitable for a team of 1 to 200+. Our award winning team offer a free service that will help you find the perfect solution for your needs, so reach out if you need more help. What you get for your weekly rent Furnished private office with desks and chairs Commercial grade internet Outgoings included Flexible terms Access to shared kitchen facilities Access to shared meeting and boardrooms 24/7 Access Office and building features Air conditioning Photocopying facilities Reception area Dedicated mens and ladies bathroom facilities Car parking on site 30m to busses east and west Close to plenty of cafes, restaurants and shops WHO IS OFFICE HUB? Office Hub is Australia & New Zealands No 1 small office space commercial real estate agency. We have the largest collection of shared spaces, coworking and serviced offices in Australia & New Zealand, perfect for 1 200 employees. Let us take you on a tour of all the spaces that fit your needs and budget. Our service is complimentary and we work for you and the landlord to negotiate the most competitive deal in the market. Let us show you how shared and serviced offices can be the perfect solution for your business. www.office hub.com.au www.office hub.co.nz Conditions apply A portion of the square meterage factors in access to shared space. Price includes any incentives offered. This is for new tenants only. Bike Racks & Showers | Cafes And Shops Nearby | Abundance Of Natural Light $304pw | 4 Person Workspa..
PROPERTY OVERVIEW $304pw Price incl. Collaborative coworking space next to Flinders University. Price incl. Rent, internet & Electricity Access to kitchen facilities Access to meeting and boardrooms Cool fitout Dedicated men and ladies bathrooms Flexible terms Furnished with desks and chairs Open plan layout Photocopying facilities Regular cleaning Showers Shared office space Great Clovelly Park location just south of Adelaide This suburban Adelaide co working centre is an amazing incubator for start ups and entrepreneurs looking for a buzzing atmosphere to run their business from. With a large open plan layout to facilitate collaboration and conversation, this cool shared space is perfect for businesses of any size. Part of the modern and innovative Tonsley precinct in Clovelly Park in Adelaide's southern suburbs. The advertised office space is perfect for a team of 4. If you need more or less space, we have over 30,000 furnished workspaces all over the world suitable for a team of 1 to 200+. Our award winning team offer a free service that will help you find the perfect solution for your needs, so reach out if you need more help. What you get for your weekly rent , 24/7 Access , 24/7 Security , Access to internal breakout areas , Access to kitchen facilities , Access to secure printer and scanner , Building outgoings included , Electricity usage included , Flexible terms , Lockable storage unit , One simple bill for everything related to your workspace , Plug and play furnished workspace , Regular cleaning , Secure high speed Internet Building features , Abundance of natural light , Air conditioning , Car parking Street / Public Car Park (Paid) , Disabled access and facilities , End of trip facilities e.g showers, bike racks , Onsite Cafe / Restaurant , Print, scan and copy facilities , Taxi / Uber stand close to building 20m to bus stops 500m to Clovelly Park Train Station 2 minute walk to Flinders University (Tonsley Campus) 20min drive to Adelaide CBD Close to shops, bars, restaurants & cafes in fact everything! Who is Office Hub? Office Hub is the world\'s No.1 marketplace for office space. We have a huge global selection of coworking spaces, serviced offices and shared office spaces with flexible options to suit teams from 1 200 people. We\'ll take you on a tour of all the workspaces that fit your needs and work on your behalf to get the best price possible. We\'ll help you discover how shared office space can be the most beneficial and budget friendly solution for your business. www.office hub.com Conditions apply – the advertised price includes any incentives offered based on a 12 month agreement and is available to new tenants only. Please note that the rental rate may increase for a shorter rental period. A portion of the square meterage factors in access to shared space.